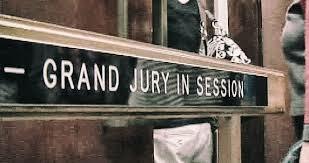 Americans current Grand Jury system was adopted by England,to properly identify criminal activity.In England, the Grand Jury was the citizens watchdog against negligent government activity.While the King could indefinitely deem someone guilty, the Grand Jury was created to determine whether there was evidence to prove someone was guilty or innocent. So the Grand Jury had civil, local, and criminal functions in both of the countries governments. However, the Grand Jury no longer had been serving it’s original purpose in England. So England abolished the Grand jury System forever in 1933. Why are we still using an outdated system that does not serve public interest? There are recent calls for reform of Grand Juries happening in this country now. Today in New York City Millions will protest against the Grand Jury decision to not indict the officers that are responsible for the deaths of Eric Garner and Mike Brown. Decisions that could have went in a completely different turn if they were given a decision for a trial without a Grand Jury. How do you feel about this finding? Previous Post Keyshia Cole could face 30 days in Jail for DUI?